New Additions to Peggin’ Pages! This is created on the Green Round Knifty Knitter and is super quick to loom and a very cool way to keep the sun out of your eyes while enjoying all those outdoor summer activities. 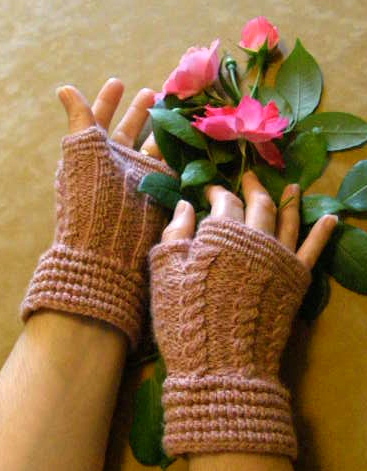 PS: This pattern is intended for intermediate loom knitters that also have experience in reading knitting charts. 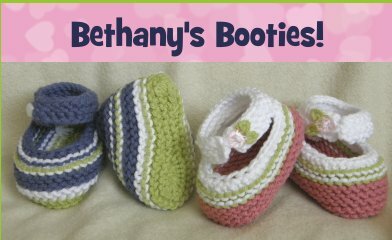 #2: ‘lil Tykies…another of Bethany’s Booties! 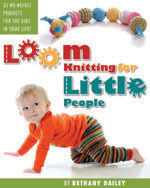 #4: Loom Knitted Spa Set! Thank you so much from the bottom of my heart for the last 2 years! You’ve all been so wonderful to spend time with, and I feel very priviledged to have gotten to know you all better. Hugs! 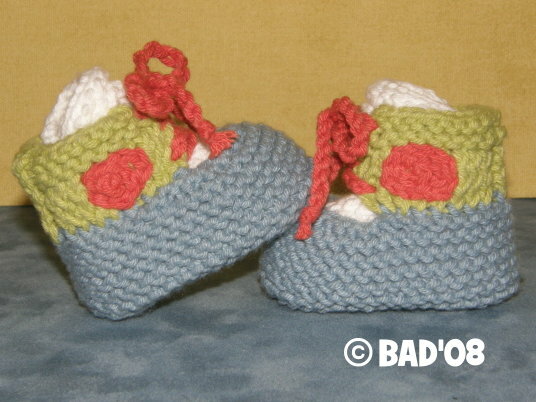 This entry was posted in Blogiversary, Kids, Knitting, Loom Knitting, Looming Patterns, Peggin' Pages. Bookmark the permalink. 6 Responses to New Additions to Peggin’ Pages! Bethany, you are a marvel! Beautiful patterns ❤ Love them, love them, love them 🙂 Looking forward to another year of great designs from you. Hugs! Gosh, Jenny, you sure do know how to make a girlie blush, lol! I’m really excited about the coming year too…who knows what will come out my looms, lol! 😉 And I’m super anxious to see what wonderfully crafty items you’ll be coming up with as well…love your little critters, and your beading! Hugs! OMG! i just designed a knitted visor, too! i posted it to my blog a couple of weeks ago. it looks a little similar to yours, but not quite! i guess great minds think alike! at least i’d like to think i’m a great mind! LOL! I’m going to pop on over and take a peek at yours, K?